Tips to Update Sony Camera Firmware - One of most important thing for every Sony camera owner is updating their camera firmware. In order to update your Sony camera firmware, you also need to know few things. Here they are. First, you need to choose right firmware to update your Sony camera. There is only one type of firmware for one type of camera. So, you can’t choose different firmware, because it won’t work, and only make your camera broken. Another thing you also need to know, once you update your firmware, you can’t reverse it to its previous version. Therefore, you need to choose carefully. Choose firmware that match with your Sony camera type. And, when you update the firmware, make sure you use compatible Operating System. If you use old firmware, you don’t need to worry. You just need to download the latest firmware and you can update it without problem. Your camera will need some time to update its firmware. Usually, it need around 15 minutes. Therefore, do not move it around or use it, during the update process. Because of this reason, you also need to look at your camera battery. Make sure it’s fully charged before you update the firmware. Or, you can use AC-PW20 AC charger to provide the power for your camera, so it won’t turned off during update, which can disturb the update process and corrupt the downloaded file. One last important thing, make sure you get the update for your Sony camera firmware from official and trusted place. It would be good idea, if you choose Sony official website to get the update file that you need. That way, you can avoid any problem that usually came from the corrupted or even fake file from unreliable source. And, of course, if you get Sony camera firmware from its official place, you also can find out the guide to update, so you won’t make any mistake. 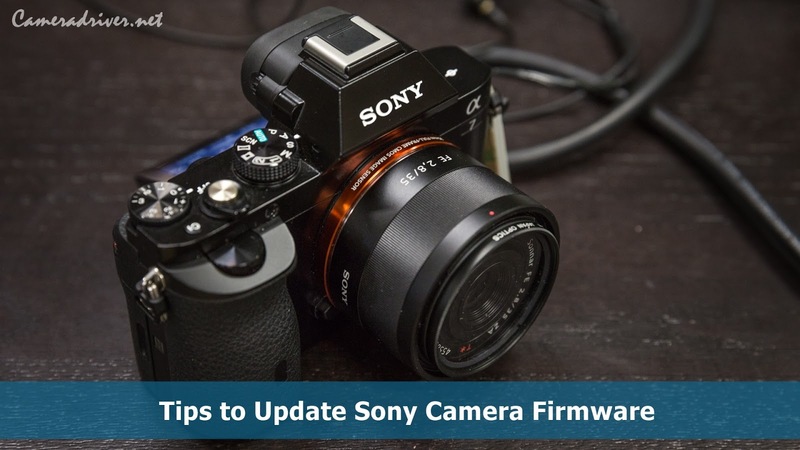 0 Response to "Tips to Update Sony Camera Firmware"
Disclaimer: Images, articles or videos that exist on the web sometimes come from various sources of other media. Copyright is fully owned by the source.